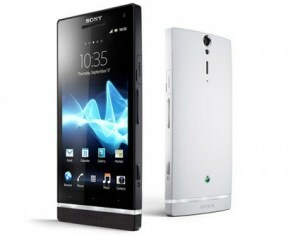 Sony is introducing the Xperia S (aka Nozomi aka Xperia HD), a 4.3” Ice Cream Sandwich (Android 4.0) smartphone that features a dual-core processor at 1.5GHz and a 1280×720 “Reality Display” with “Mobile Bravia Engine”. The “reality” term has been used by Sony in the past to name imaging components, and other brands have used it, like href=”http://www.sgi.com/” rel=”homepage” target=”_blank” title=”Silicon Graphics”>Silicon Graphics reality engine – which was ironically very far from displaying anything that would be remotely deemed realistic today (it was great then!). The Mobile Bravia Engine probably refers to the video processing capabilities of the device. 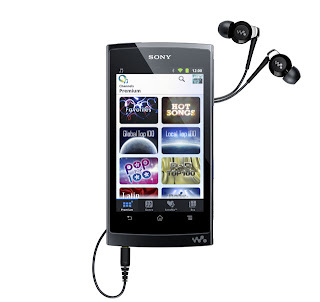 The Sony Android Walkman was first shown at IFA as a prototype and officially announced on September 13th, when it launched in Japan. Today at CES, Sony is officially launching the Walkman Z series running href=”http://code.google.com/android/” rel=”homepage” target=”_blank” title=”Android”>Android 2.3 (GingerBread) in the US in three flavors: the 32G model at $329.99, the 16G model at $279.99 and the 8G at $249.99. On the hardware side, the device boasts a 1GHz NVIDIA Tegra 2 processor that enables 1080p video playback at up to 10 MBps, which the 4.3” WVGA-800×480 multi-touch LCD will not render at full resolution, however, thanks to the HDMI out port, you will be able to play it on your HDTV. TheWalkman Z also supports href=”http://www.dlna.org/” rel=”homepage” target=”_blank” title=”Digital Living Network Alliance”>DLNA, which means you should be able to stream content to other DLNA devices such as HDTVs or compatible tablets such as the Sony S.
On the physical design side, the W button, located on the right side, launches a mini player that provides a practical way to instantly play or stop your music without the need to unlock the OS, wake up the device while in sleep mode or get out of a running application.